All is well with the orchard – more than enough snow. 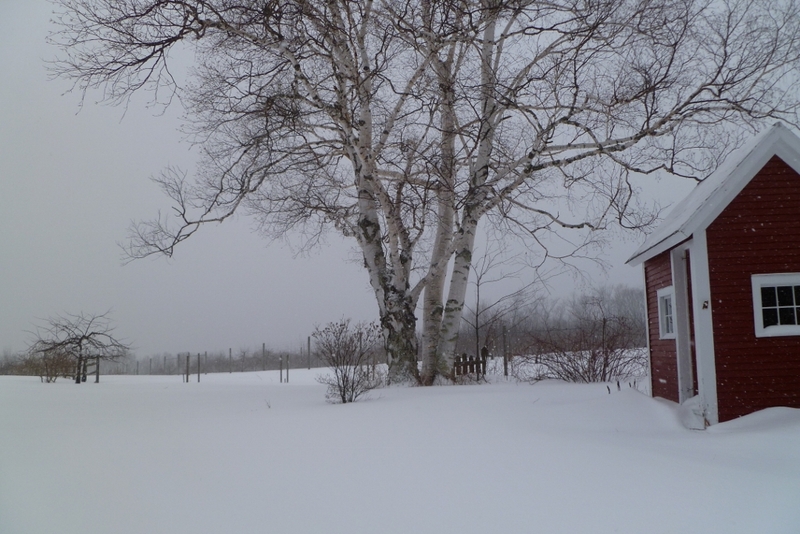 We still have a lot of pruning to do, but it has been too cold to get out – have spent the time instead getting our taxes done. Looks like pruning will wait until March. Fortunately the heavy snow (and some ice) has not damaged the apple trees. Because the trees are pruned each year and the heavy fruit load each fall, the limbs are strong enough to avoid much breakage. It has been a different story for the trees in the surrounding woods and our standby generator has run a couple of times for almost a day. We are looking forward to Spring – it will have to come sometime.